A simple internet search will reveal how so many conspiracy theories exist when it comes to some important episodes of History. The scenario in India is no different and a lot of people strongly believe that what history has taught us is not entirely true. Hollywood has made films and documentaries out of it while India has lagged behind. 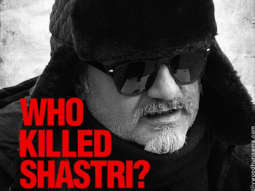 But now director Vivek Agnihotri tries to put forward an investigative thriller based on Lal Bahadur Shastri’s death. The result is THE TASHKENT FILES and it releases in the middle of the exciting election season. So does THE TASHKENT FILES shake the viewer with its content and execution? Or does it fail to impress? Let’s analyse. 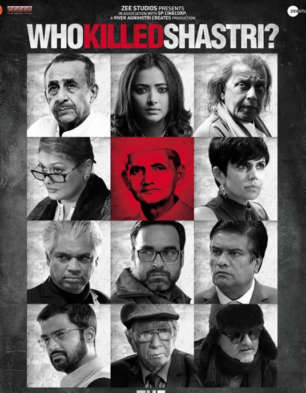 THE TASHKENT FILES is the story of a group of people trying to understand whether there was any foul play in the sudden death of a significant Indian Prime Minister Lal Bahadur Shastri. Raagini Phule (Shweta Basu Prasad) is a rookie political journalist in Delhi working for a newspaper called ‘India Times’. She has been given an ultimatum by her editor (Asif Basra) that she has to submit a scoop in a few days or else she’ll be transferred to arts and culture, a beat that Raagini abhors. 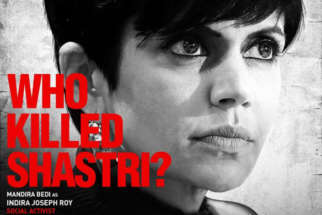 One day she receives a call from an unknown person (voiced by Vivek Agnihotri) and he asks her to write about the mysterious death of India’s second Prime Minister Lal Bahadur Shastri. He had died on January 11, 1966 soon after the Tashkent Agreement was signed following the end of India-Pakistan war. The unknown caller even provides all the evidences and references needed for Raagini to file the story. The article gets published and it goes viral. Shyam Sunder Tripathi, leader of the opposition, uses this opportunity to score brownie points against the ruling government. 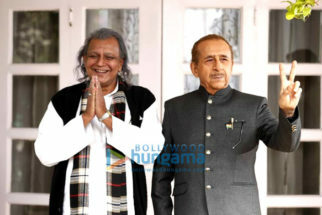 Realizing that the matter has become too big, PKR Natrajan (Naseeruddin Shah), the minister of home affairs, forms a committee, and its members are to decide if there is indeed any foul play in Shastri’s demise. Shyam Sunder Tripathi is made the head of the committee. 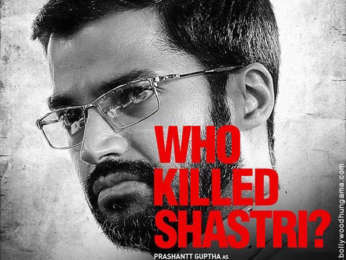 Other members include Raagini, author and historian Aisha Ali Shah (Pallavi Joshi), social activist Indira Joseph Roy (Mandira Bedi), director of National Archives Omkar Kashyap (Rajesh Sharma), scientist Gangaram Jha (Pankaj Tripathi), ex RAW chief G K Ananthasuresh (Prakash Belawadi), president of the Young Indian Congress Vishwendra Pratap Singh Rana (Prashantt Guptha) and retired Supreme Court judge Justice Kurian Abraham (Vishwa Mohan Badola). A few of them in this committee, like Aisha Ali Shah and Vishwendra Pratap Singh Rana, vehemently deny that Shastri’s death was mysterious and stress that he died of natural causes. Raagini and others put a counter view to prove the matter should be investigated. Soon, it comes to light that nobody really cares for Shastri and all are there for some ulterior motives. What happens next forms the rest of the film. Vivek Agnihotri's story is interesting and the film rests on a brilliant idea. The material is well-researched and it shows. But the character development ought to be a bit stronger. Vivek Agnihotri's screenplay is not very effective. A few committee scenes are well written and thought of. However, at certain places, it becomes a mess as there’s too much of information thrown at the audience. Vivek Agnihotri's dialogues are acidic and add to the impact. Vivek Agnihotri's direction is average. There’s no doubt he has handled some scenes deftly. The sequence where Raagini is wiping the cake off her face and talking to the caller is well executed. A few committee scenes are also impactful, especially the finale. On the flipside, the exterior scenes look substandard. This is especially for the slow-motion jogging scenes. Vivek has also shot a crucial sequence in Tashkent and even a layman can make out that a lower quality camera has been used. These are all shaky, hand held shots and one wonders why he didn’t opt for at least a cheap tripod! THE TASHKENT FILES is a 2.24 hours long film and could have been shorter and tighter for a better impact. The opening scenes are decent but again, too much time is wasted in establishing the setting and characters. The fun kicks in once the committee starts discussing about Shastri. 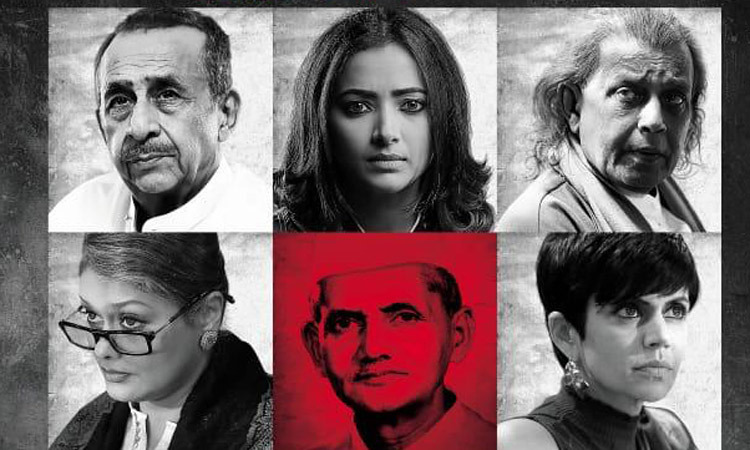 The manner of the argument and even some character traits give an instant déjà vu of the Hollywood classic 12 ANGRY MEN  and its Hindi remake EK RUKA HUA FAISLA . Post-interval, things do heat up at some places, especially Gangaram showing his true colours and his extremist views. At the same time, a few developments are quite unconvincing. The sudden killing of an important character is bewildering. Also, Raagini suddenly becoming a villain in the eyes of people and media doesn’t seem easy to digest. Shyam Sunder Tripathi’s monologue in the pre-climax is sharp but the impact is not much. The climax thankfully comes as a shocker and revives interest. The film tries to appeal to that vast section of people who feel that we have been taught incorrect history and who believe that a particular political party has been in the wrong all along. Although they’ll love the information and shocking details provided in the film, it doesn’t mean they’ll go to cinemas to see it as the treatment is not massy. Moreover, the plethora of information is laid out in such a way that the common moviegoer will get confused and overwhelmed. A few details are needlessly given to the viewers, like the role of Kamraj. Hence, it starts to feel like the makers wanted to also impress audiences with their research and not just tell a good story. 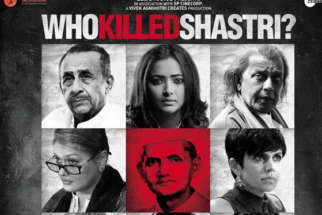 THE TASHKENT FILES has some fine actors but Shweta Basu Prasad rocks the show. She gets a very meaty role and she gives her hundred per cent. In the climax especially, she goes on another level. Mithun Chakraborty is a bit over the top but it works and it is good to see him on screen after a hiatus. Pankaj Tripathi adds to the fun initially and then surprises viewers with his extremist views. 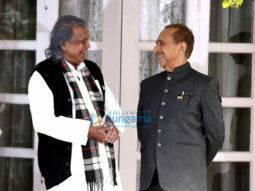 He is fine although one might also feel that he just walked out of the sets of last year’s hit STREE and shot for this film without making any change in his look or dialogue delivery! Pallavi Joshi is efficient while Mandira Bedi doesn’t get much scope. Prakash Belawadi is dependable and also contributes to the film’s fun quotient. Prashantt Gupta is strictly okay. Rajesh Sharma and Vishwa Mohan Badola don’t get much scope. Asif Basra is fine. 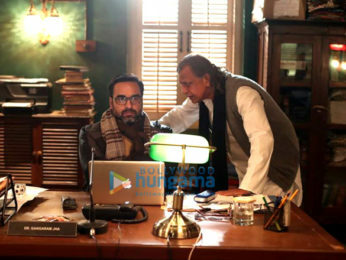 Vinay Pathak (Mukhtar) looks too young for the part of a spy who has worked few decades ago. His entry is laughable. Naseerudin Shah is nothing special. Achint Kaur (PKR Natrajan’s wife) is completely wasted. Ankur Rathee (Imran) is over the top and showing that he had a past association with Raagini serves no purpose. Yusuf Hussain (P K Bakshi) leaves a mark. Rohit Sharma's music is entirely forgettable. The promotional song 'Saare Jahan Se Acchha' is missing from the film. 'Sab Chalta Hai' doesn’t generate impact. Satya Mannik Afasr's background score is okay and could have been more dramatic. Uday Singh Mohite's cinematography is appropriate in the committee scenes but in the exterior scenes, it is nothing great. Uday Prakash Singh's production design is theatrical. Khatri Irfan's costumes are appealing. Sattyajit Gazmer's editing should have been sharper as the film is too long. On the whole, THE TASHKENT FILES is laced with an excellent idea and provides some shocking facts related to the sudden demise of Lal Bahadur Shastri. But the film has zero buzz and is riddled with too many loose ends. At the box office, the film is bound to sink without a trace.